Eating well is one of the very best things you can do to live a healthy life. Not only does eating a variety of fresh and healthy foods fuel your body with enough energy to get you through the toughest of days, it can also make you feel and look great whilst fighting off pesky colds, flu, and even more serious health issues. While there is no “legal” definition, superfoods are foods that are rich in compounds (such as antioxidants, vitamins, minerals, fibre and fatty acids) considered beneficial to a person's health. Let’s kick off the list with a delicious dollop of Greek yogurt. Packed full of protein and probiotics, Greek yogurt improves digestion and gives the immune system a boost. It also makes a fantastic substitute for sour cream, mayo and cream cheese! Note: Be careful with sneaky product labels. Many of which are actually “greek style” yogurt imposters! Added to just about every traditional Scottish dish, this high fibre, nutrient dense oat is the perfect way to kick-start your day. Not only does it leave hunger locked up till lunch, it can help lower cholesterol, improve metabolism and assist digestion. Why not top your breakfast oats with a spoonful of Greek yogurt or nut butter for an added hit of flavour and protein. While almost all cruciferous vegetables are extremely healthy, Broccoli is in a league of its own when it comes to its high levels of immunity-boosting vitamin C and folate. Broccoli also contains phytonutrients which may help to suppress the growth of tumours and fight against the risk of some cancers. Garlic is not only a fantastic way to add flavour to any dish, it’s been used as medicine for thousands of years to treat just about everything from high blood pressure and heart disease to yeast infections and prostate problems in men. Just make sure to stay clear of the stinky little superfood before a date! This list wouldn’t be complete without Salmon. Not only is a great source of protein and omega 3 fatty acids, thanks to its high satiety factor, salmon makes for a great food for weight loss. After a decade of being blamed for high cholesterol, the whole egg is back with a bang. Whole eggs are cheap, are a fantastic source of protein, are rich in nutrients and have less than 70 calories per egg. The high levels of omega 3 fatty acids found in eggs can also help fight against depression, poor eyesight, heart disease risk, inflammation and Autoimmune Diseases. Another grain to make the list. Quinoa is one of the only grains or seeds that packs all nine of the essential amino acids our bodies can produce. At 15g of protein per 100g serving, it’s an ideal choice for any diet lacking in protein. It’s nutty flavour and texture makes it an ideal substitute for rice and couscous. This list just keeps getting better and better. Cocoa contains flavonoids which have shown to help lower blood pressure and improve blood flow around the body. Not only that but cocoa is low in calories, has almost no fat and tastes absolutely delish without the guilt that tends to come with eating chocolate. 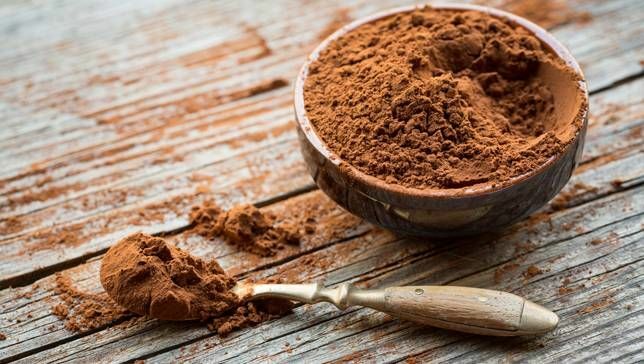 Note: Make sure to buy raw or non-alkalized Cocoa. Both of which contain all of their phytochemical and antioxidants. Maca is a root vegetable found in the Peruvian and Bolivian Andes. Dried and processed into a powder form. It’s rich earthy flavour admittedly doesn’t taste great. However, it’s claims of boosting energy levels, endurance and libido (hubba-hubba) could just make it worth the gag. As a resident of Spain, it’s only right that I include tomatoes on the list. Who knew there were so many different varieties!? Asides from their high levels of potassium, fibre and vitamin C, tomatoes contain lycopene which could help protein against some cancers and harmful UV rays. Certainly helpful if you live somewhere hot! Forget kale. Spinach is where it’s at. Whilst It can’t actually help you transform into Popeye and is definitely best eaten fresh, not from a tin, spinach packs a healthy dose of antioxidants, anti-inflammatories and vitamins that help promote eye and bone health. Despite looking like some sort of mutated deer antler, Ginger tastes absolutely delicious making it a great spice to add flavour to certain dishes. Just like garlic, Ginger is used as an alternative medicine to help treat just about everything from bacterial infections to indigestion and a sore tummy. While I'm more of a fan of the people’s nut aka the peanut, it simply can’t compete with the most nutrient dense nut around, the Almond. While nuts in general are quite calorie dense, Almonds contain lots of fibre, potassium, calcium, iron, magnesium and healthy fats which make them the ideal choice for a hunger-fighting snack between meals. With hipsters obsessing over goji berries, the apple has momentarily stepped out of the limelight. Let’s not forget the apple costs a fraction of the price of goji berries and is so good for us it comes with the slogan “An apple a day keeps the doctor away”. Apples have also been known to help lower your risk of cardiovascular disease, diabetes and asthma. Chia seeds are packed full of nutrients (iron, magnesium, calcium, and potassium) and are a high energy food. So powerful in fact that Aztecs warriors would eat chia seeds to help them sustain high energy levels during bouts of endurance based activities. Not only that but chia seeds promote healthy skin, support the heart and digestive system, help build stronger bones and muscles and can help fight off diabetes.